Greyhound / IG Vinyl Decals - Racing Dog Decals - "IG Whispers" Italian Greyhound Forums! Would you be interested in a general greyhound / IG decal? Would you be interested in a IGWhispers logo decal? Sorry I have been MIA from the boards for a while, but I have been super busy with a new job as well as other things going on. One of the things my husband and I are currently working on is making our own vinyl decals. I was thinking of making some IG silhouettes to put on my car, and I was wondering if anyone else on here would be interested in some IGs (or a general Greyhound silhouette) for their cars (or windows, fridge, mirror, etc). I was even thinking that we could possibly make the IG whispers logo. I obviously do not have any samples to show right now, but if I know there is a large interest on here, than I can try to get some samples together quickly for you guys. Please vote and let me know what you think. Thanks everyone!! Especially an IGW decal, that would be cool! Interests:I love to knit, sew, crochet and of course spend time with the dogs. One of our Ohio foster homes (Karen Berry) had her hubby design and make two sizes a few years back. They sold them them at playdates and maybe the Iggy 500 for rescue fundraising. They were so nice and I miss mine immensely! I had one on our Jeep, but sold it last year, so bye bye decal. I definitely would be interested, especially if a good outline, especially a head shot. Interests:IGs, Horses, Photography, Website & Graphic Design, and having fun! I used to have a life, but my dogs ate it! I am always looking for decals. Hard to find anything in pink or silver. You should put them on ebay. I was mainly doing it because I had not run across any myself and I figured if I can make them, why not make them available to everyone that wants one?!! I will still work on the ones I want for myself, and the IGWhispers ones, but if you want to sell the decals you have, that is fine too. There is no commitment to buy from me right now, I was simply trying to gauge interest in this idea. Thanks. it's funny you asked this, because over the past week/ 2 weeks, I've been searching for "the perfect" IG decal for my truck. I haven't found any ones that I love yet. I would love to see what you and Laura come up with!! Interests:I love being outdoors with my animal gang, I camp,fish, like getting scared by horror movie but a chick flix is nice once in a while.spending time with my boys !! Here are the ones I got.... I think I paid under $15 for all three. Edited by Lori, 27 July 2009 - 06:01 PM. welcome back Kate.....I hope the new job is going good. I'd love a good IG decal....there is a place by me that designs decals...I'd love to see what you come up with. Interests:Photography, Art, Love, All Animals, Tattoos, Music, Nature, Books, Rubik's Cube, Fashion, Japan, Europe, Ipod, Veggie Burgers, Traveling, Making Jewelry, Psp, Nintendo Ds, Cute Things,Music, Ect. good idea!! I want one for sure! 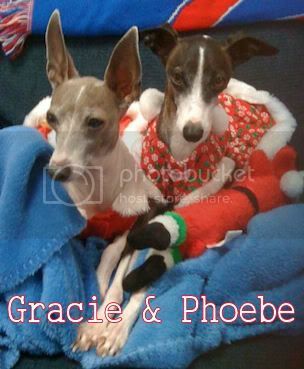 Interests:My family and my 2 precious Iggy's: Gracie and Phoebe. Martingale Collars - Iggy's Designs! Count me in! I would love to help support anything IG. Thanks everyone, I will try and get some samples printed this week, we have a few different ideas we want to try. I will be on vacation next week, so if I do not get to it this week, I can follow up with you guys later. Here are the ones we sell at our IG Rescue booth at events to raise money for IG Rscue. Love the Decals at the bottom of your picture where would I be able to get them? I think you have to get them from the rescue group in CA. . . .. Joe? Yeah, those decals are from Joe, maybe you can send him a PM? What a neat idea! I might be interested in one. It would depend on the cost and such. she did make them, we all got them awhile back, it seems they were around $6? don't quote me, but they weren't a lot more than that. i love decals for my car as long as they r static cling.hubby has last say about what goes on cars though,cant have him driving a vehicel with a bumper sticker or decal that is to fem,also there is a chance that someone might see the dog decals and try to steal the dogs.